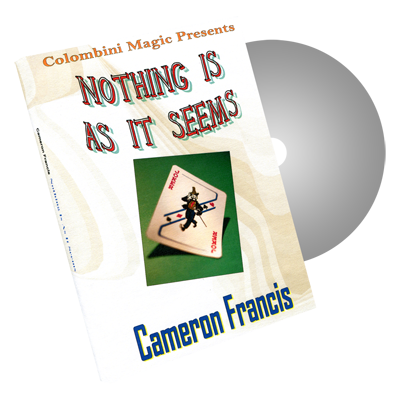 Today, when you order "Nothing As it Seems by Wild-Colombini Magic - DVD", you'll instantly be emailed a Penguin Magic gift certificate. You can spend it on anything you like at Penguin, just like cash. Just complete your order as normal, and within seconds you'll get an email with your gift certificate. 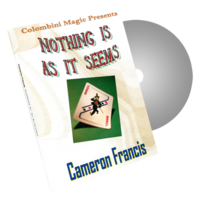 Created and performed by Cameron Francis. The magician shows a packet of four cards, say three blue-backed Three of Hearts and one red-backed Joker. The Joker is placed in the magician's pocket but keeps jumping back into the packet several times. For the final kicker, all of the cards turn blank. Totally examinable. Easy to do. Complete with cards and DVD.